During my 40+ year career, I have worked at the interface between bone and endocrine neoplasia, specifically, multiple endocrine neoplasia type 2. I have been a leader in the development of strategies to prevent and treat medullary thyroid carcinoma (MTC): active in the development of prospective screening studies for hereditary medullary thyroid carcinoma, mapping and identifying RET as the causative gene, use of genetic information to direct prophylactic thyroidectomy, studies of tyrosine kinase inhibitors in the treatment of medullary thyroid carcinoma and studies to define how RET mutations cause MTC, the subject of the current proposal. I have also an active leader in the bone field, being a charter member of the American Society of Bone and Mineral Research. I have been actively involved in basic and clinical studies of bone biology, particularly as they relate to bone health effects of cancer treatment. I have worked to define the role of calcitonin in bone biology, including the creation of a calcitonin knockout mouse model that defined a new function for this ancient hormone. My current work focuses on the role of the RET proto-oncogene in the genesis of bone metastasis in medullary thyroid carcinoma. 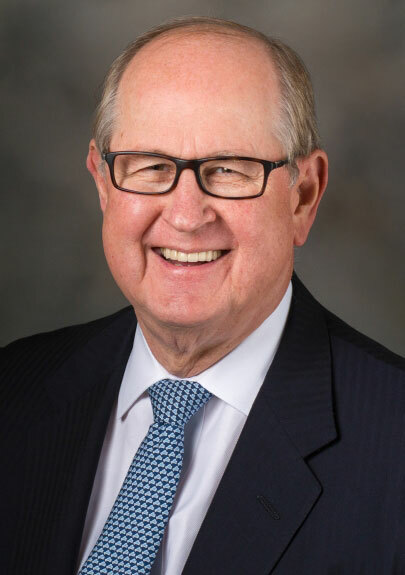 I have also served as Head of Internal Medicine at MD Anderson Cancer Center from 1995-2014, recruiting more than 125 of the current 185 faculty and redefining the role of Internal Medicine in a Center Center. During this time, I found time to remain engaged in laboratory and clinical pursuits, acquiring skills necessary for completion of this project.